The full moon was yesterday, however the day after, the moon is still huge and enchants the visitor. 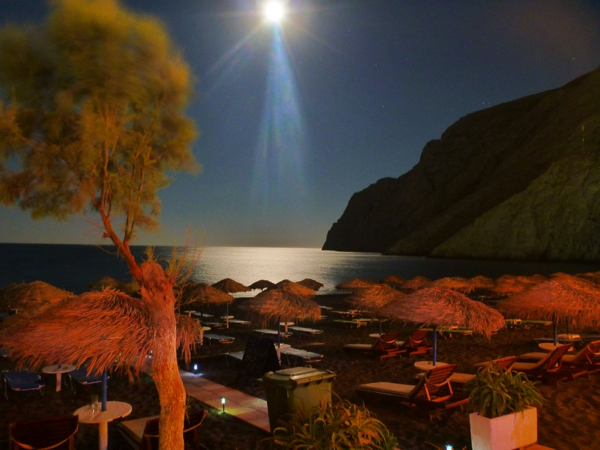 The best spots for capturing the perfect moment are all the beaches facing east, such as Kamari and Perissa where the moon literally emerges from the sea, as if touching the island of Anafi. Higher in altitude Pyrgos, Firostefani, Imerovigli and Oia offer an equally breathtaking sight! So don’t miss out on the opportunity! Set up your camera tripod at 21.40…wait for the magical moment!